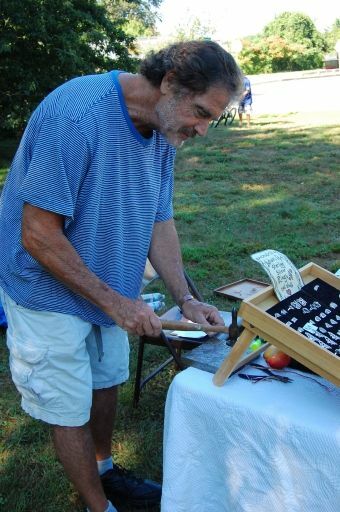 Oh, the list could continue for pages, but mention must be made of last week’s music with Nick Cicchese…such a range of styles that brought smiles from all corners of the market! 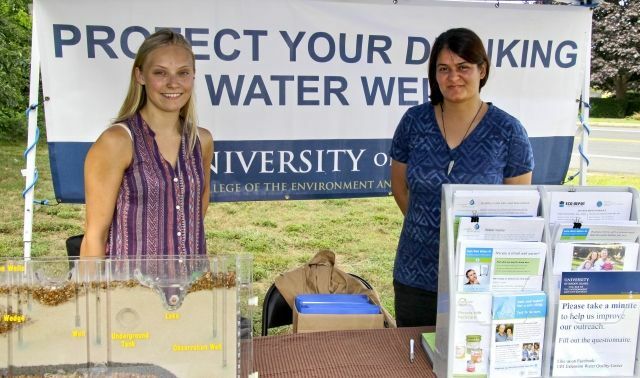 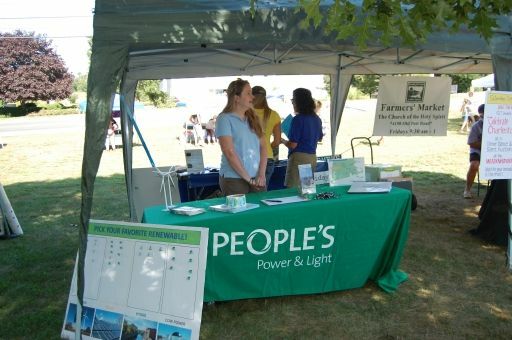 Special guests included the Water Quality people from URI talking with visitors about issues of drinking water from wells, a reality for all Charlestown residents. 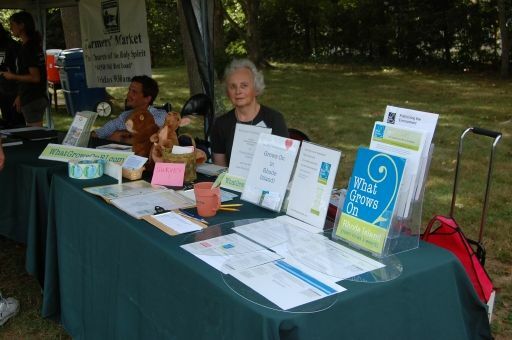 Special guest Susan Korte, creator of the website “What Grows on in RI”, explained how this site connects people with environmental events and resources from all over the state…Quite a comprehensive collection of things to KNOW. 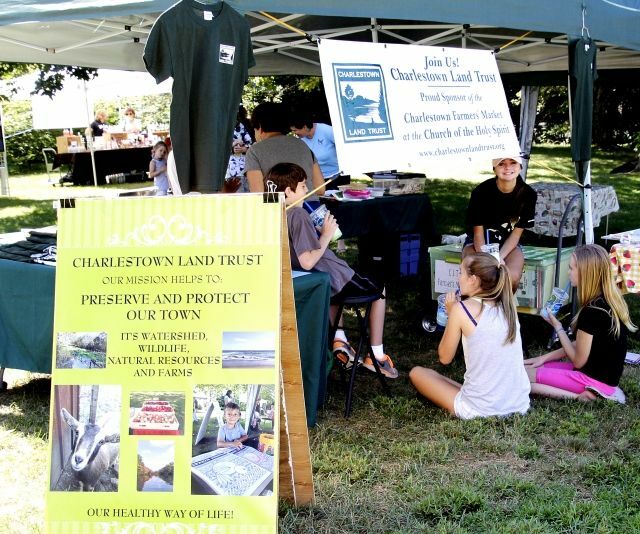 Plan to join us this coming week, Fri., Aug. 28th at the Market where the Charlestown Land Trust will have an EXTRA surprise…starting around 11 AM….But stroll through the market beforehand and then Join Us for something special!!! 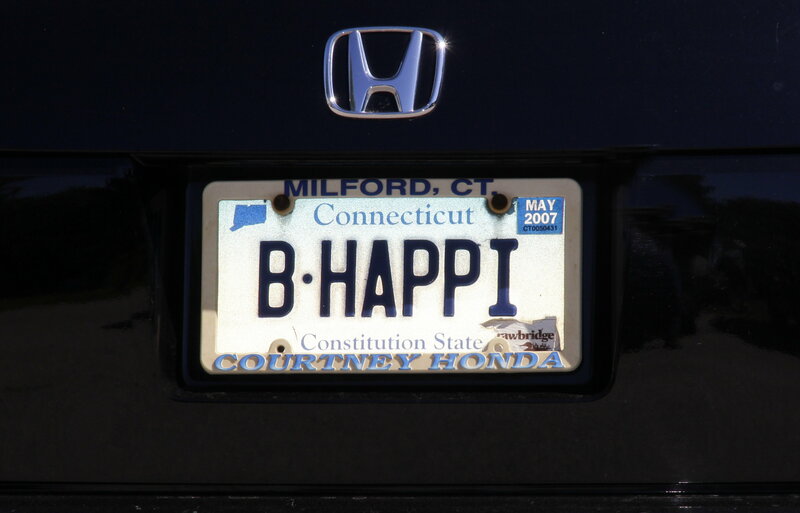 Friday, August 14, 2015 When this license plate was spotted in our parking lot this past week, it seemed to reflect the attitude at our Market every Friday morning….and we are tickled to share it. 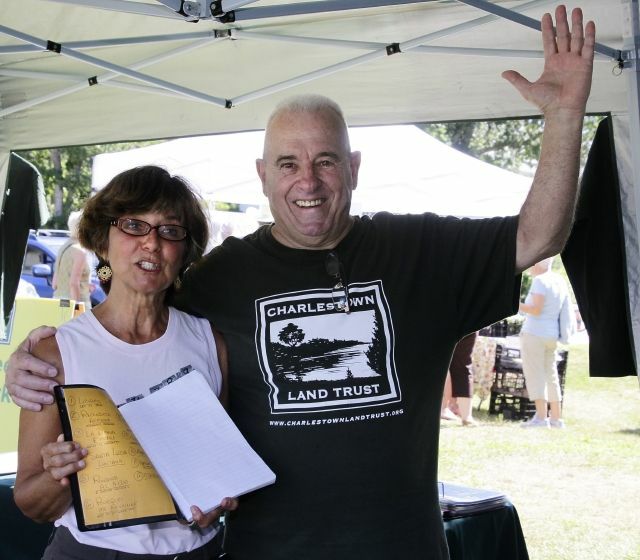 Yes, we ARE happy….Happy to welcome regular shoppers and new visitors each week! 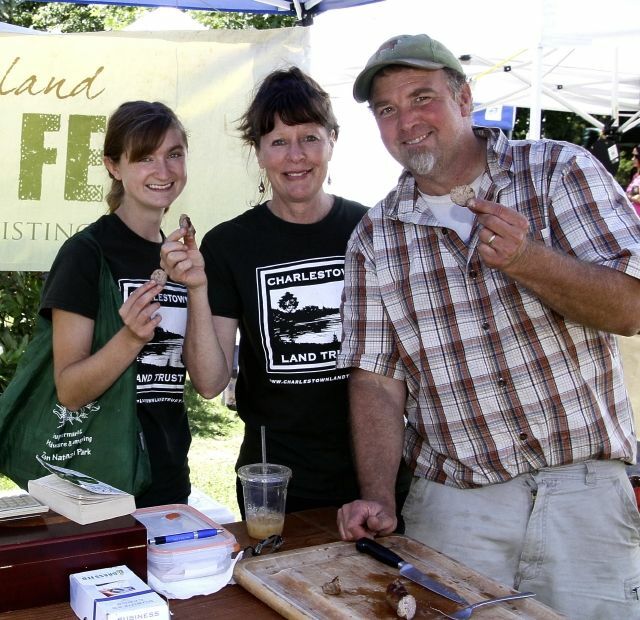 Happy to have farmers and vendors who bring us consistently delicious, high quality products, happy to be part of a community that values a country way of life. 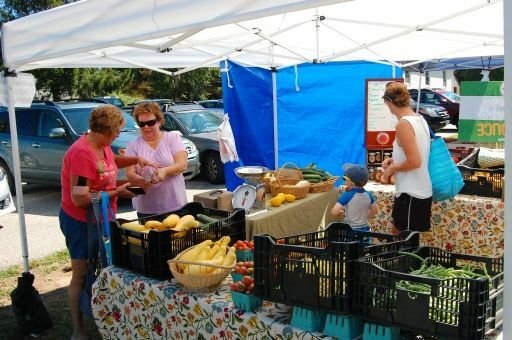 Each of the following photographs serves to underscore the fact that a morning at the Farmers’ Market yields happy satisfied customers! 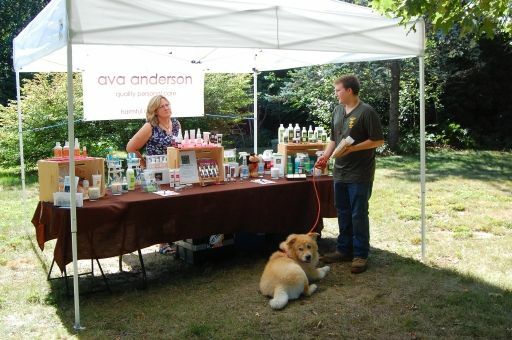 Even the pooch at the Ava Anderson booth below appears relaxed and glad to be where he is! 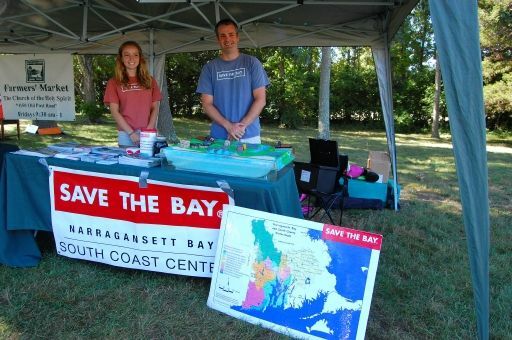 And there was Save the Bay, citizen advocate group of RI’s treasured Narragansett Bay, sharing information about protecting our waterways. 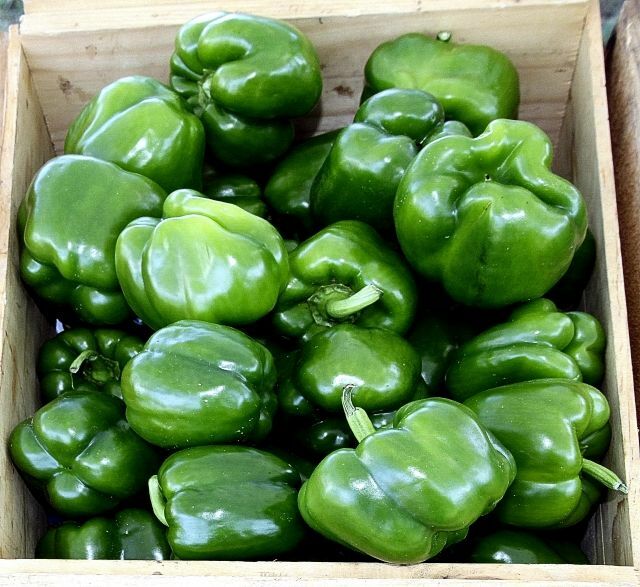 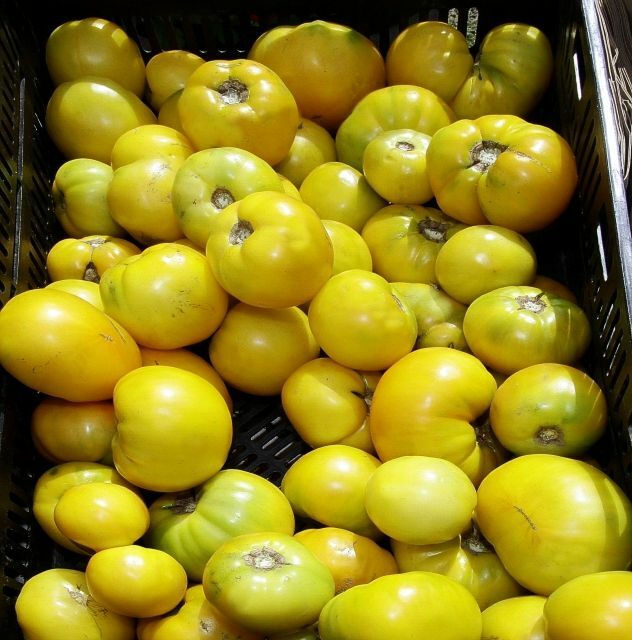 Every week something new….along with the much sought after regular choices at the market. 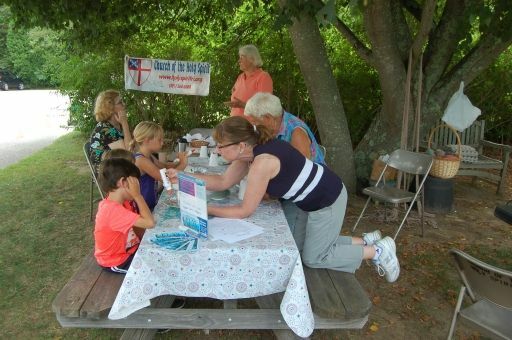 Join us each Friday through the end of the month! 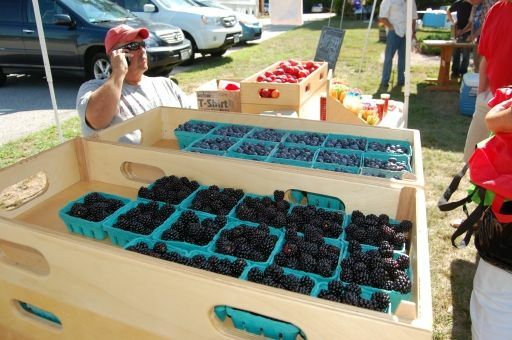 For the first time this summer we had peaches and blackberries….and we still had blueberries – a fruit lover’s dream! 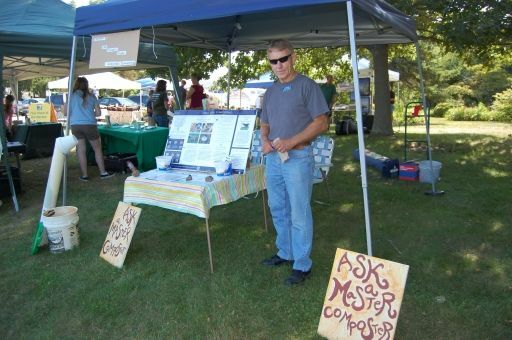 Woven into the week’s shopping experience was information from People’s Power and Light, a renewable energy company… ….and composting expertise, there for the asking…. 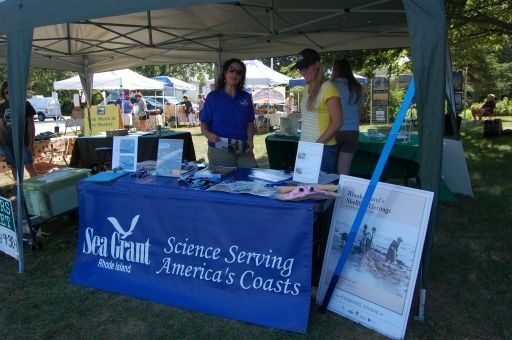 Plus a visit from the people at Sea Grant, a vital agency assisting our aquaculture farms and those who care for our fragile water ecosystems. 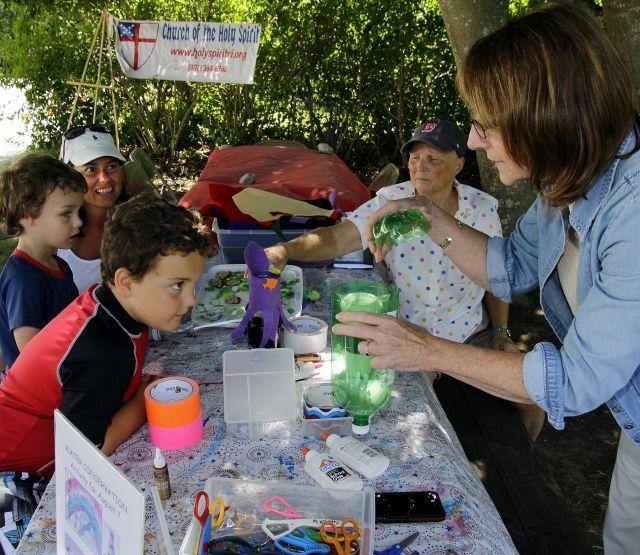 Children engaged (eagerly) in yet another activity session with volunteers from the Church of the Holy Spirit….Each week they provide opportunities for kids to interact with nature and create or construct something that reflects an appreciation of the environment. 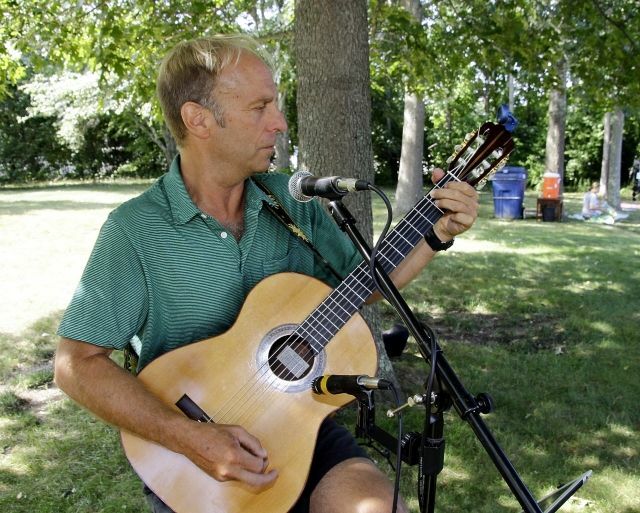 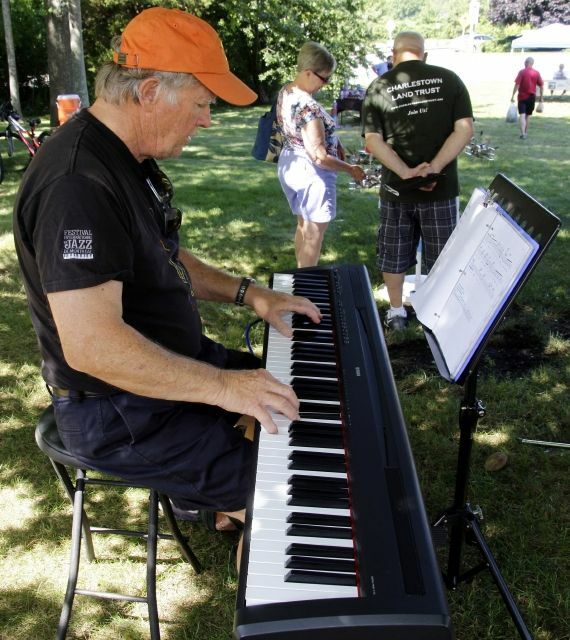 All the while, Mike Bussey’s MUSIC lifted spirits and put a spring in shoppers’ steps. 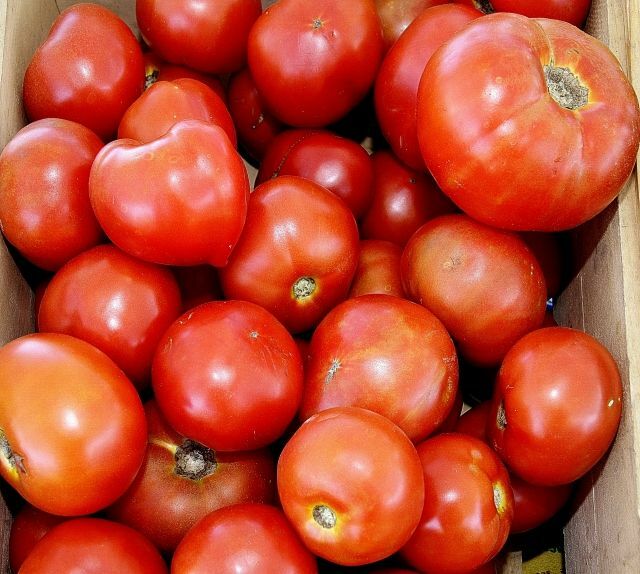 There’s always something new at the market as well as high quality produce that you can count on for flavor and eye appeal. 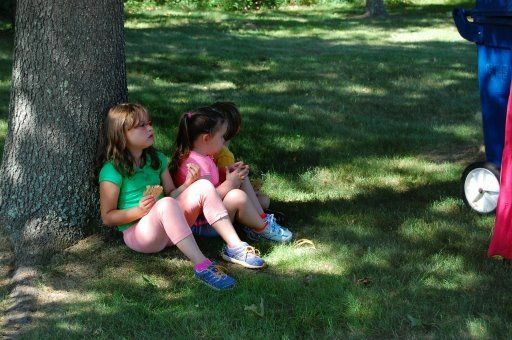 Those Lazy Hazy (Amazing) Days of Summer! 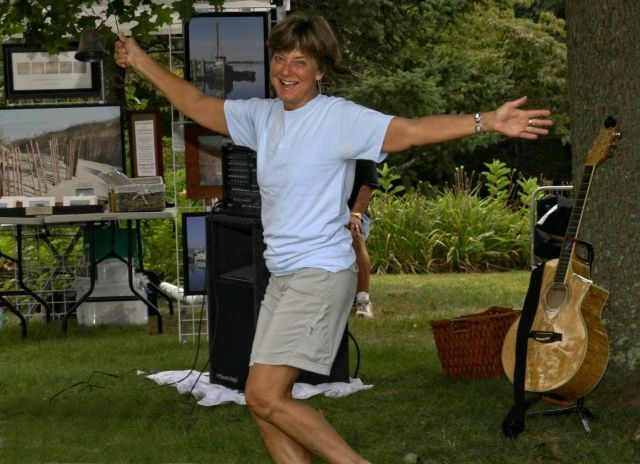 ….and there is an inclination to kick back and enjoy the moments at hand. 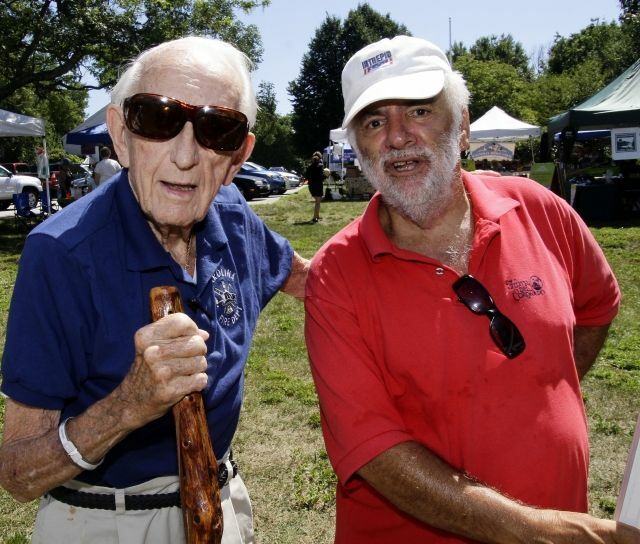 Whether in the company of….Old friends…. 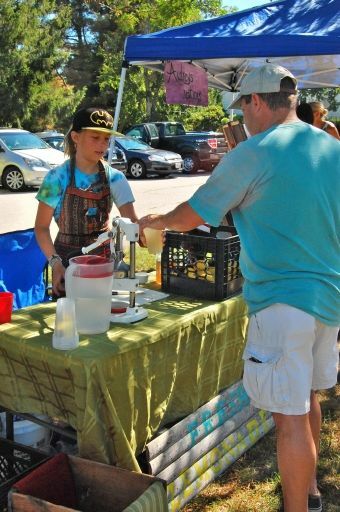 And a fine mix of other types of goods to delight and serve everyone! 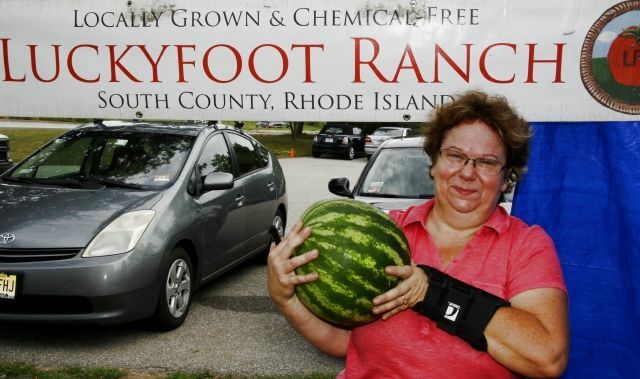 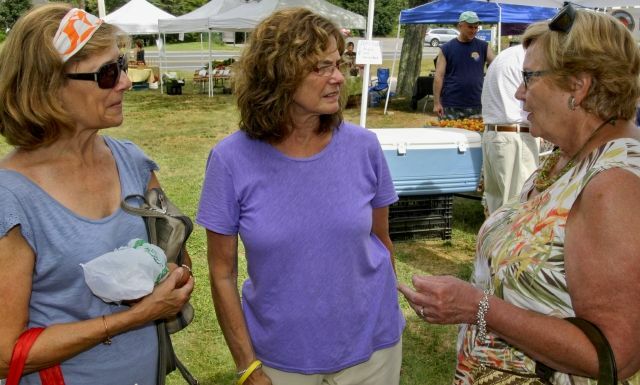 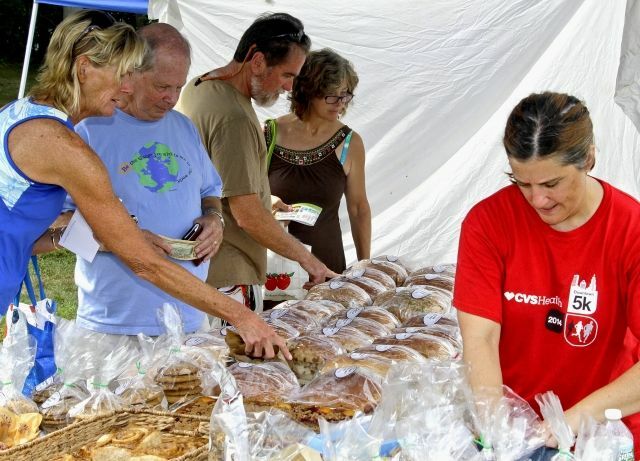 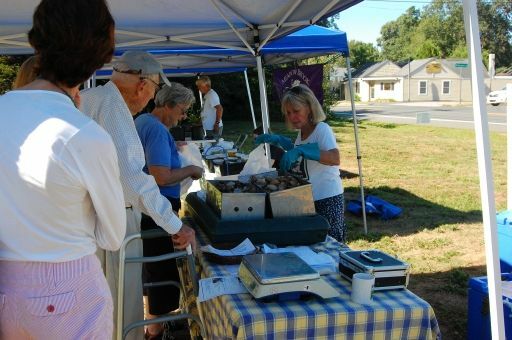 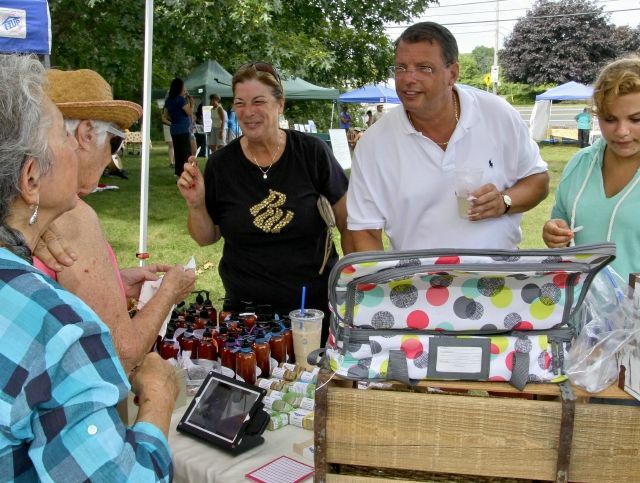 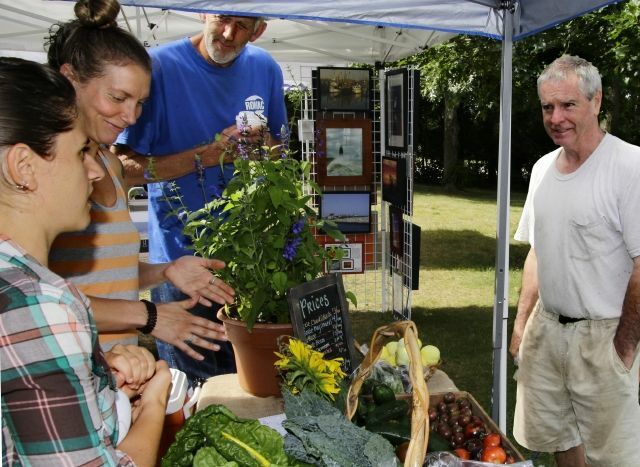 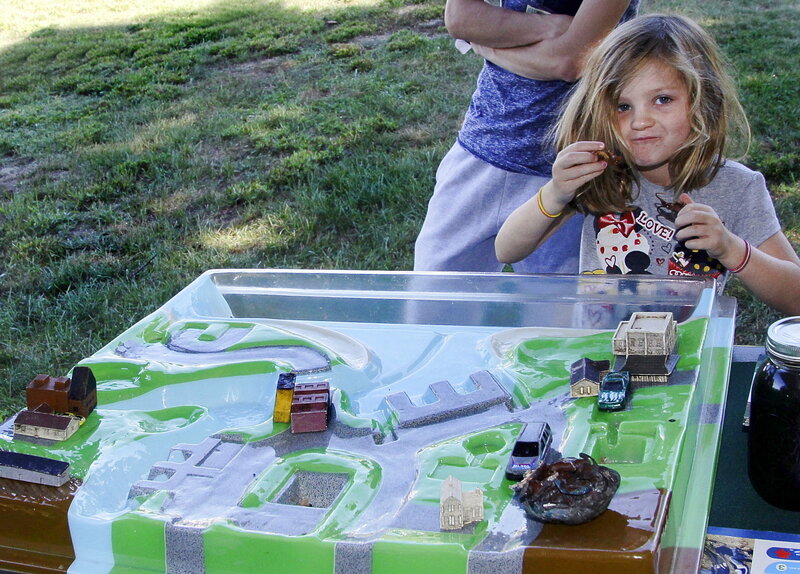 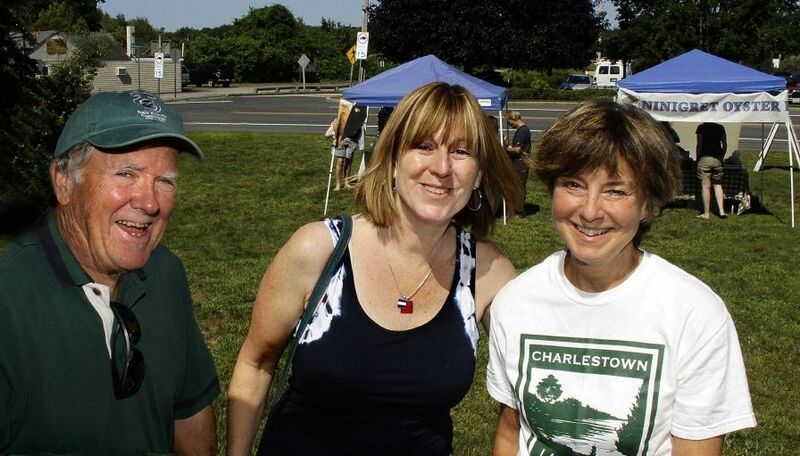 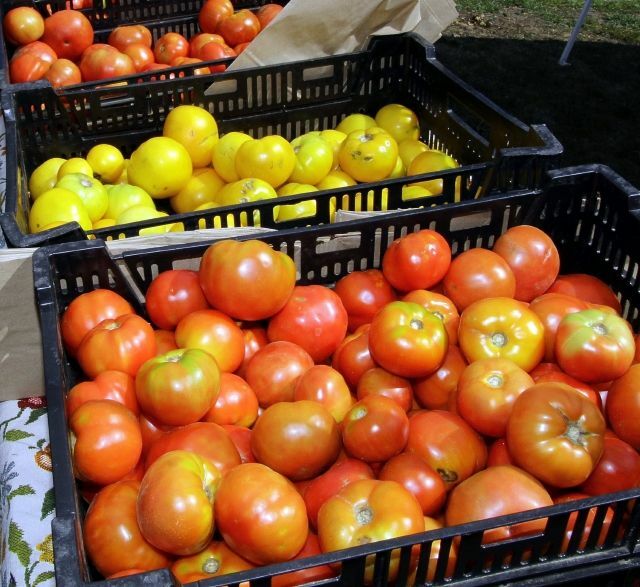 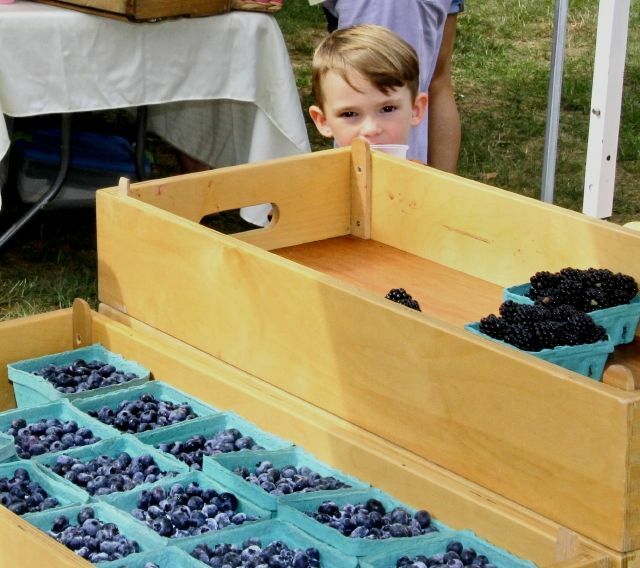 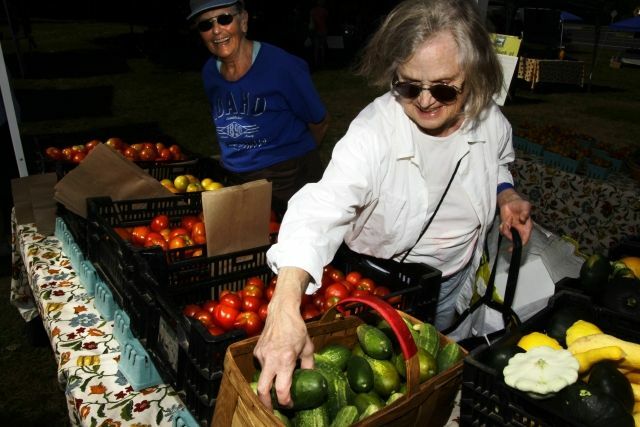 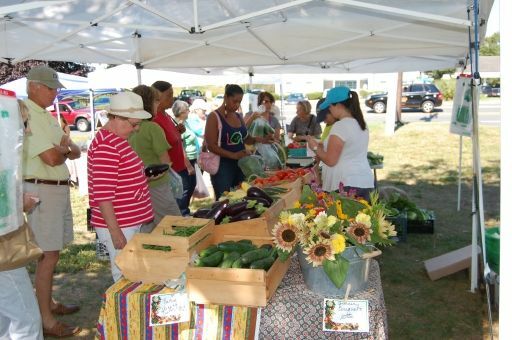 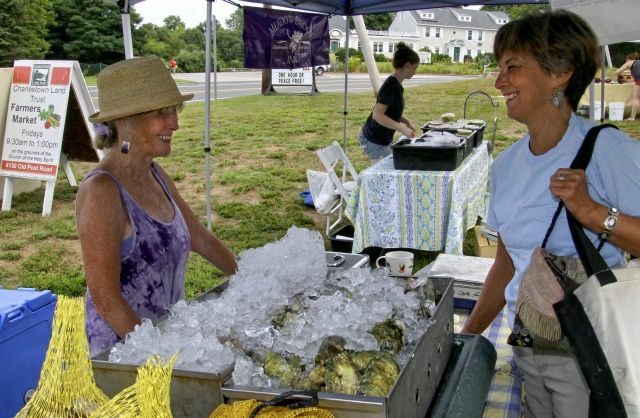 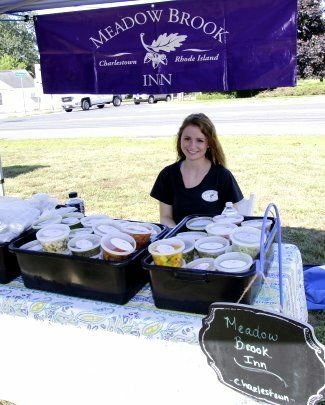 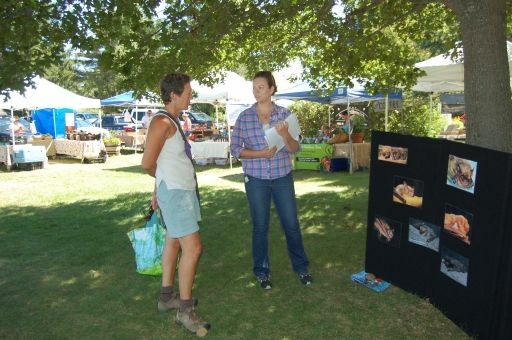 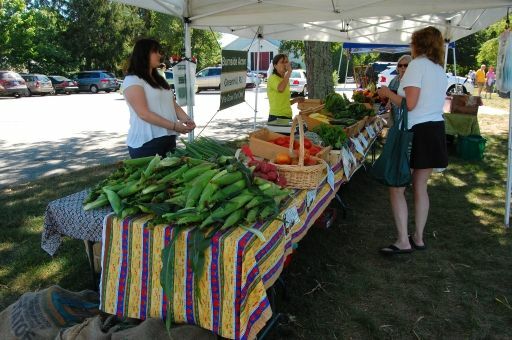 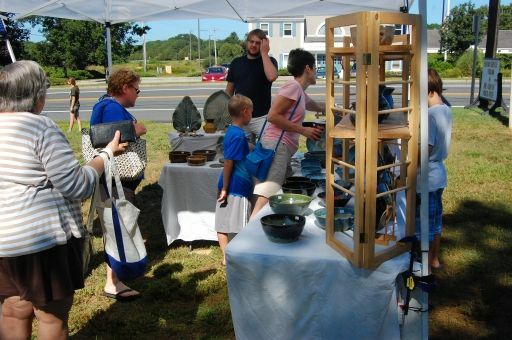 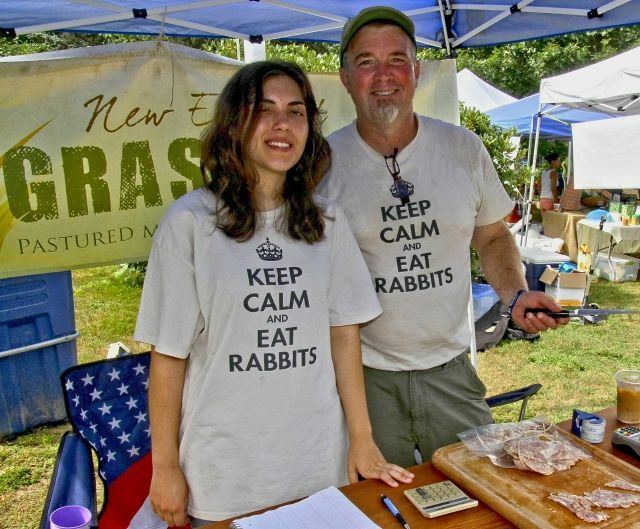 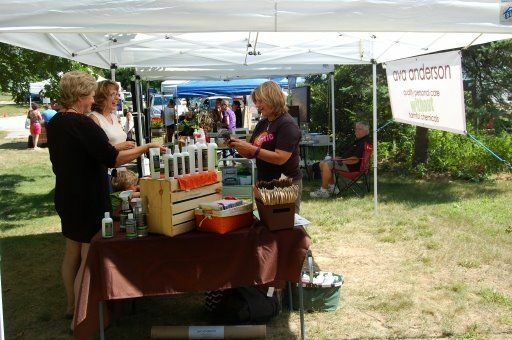 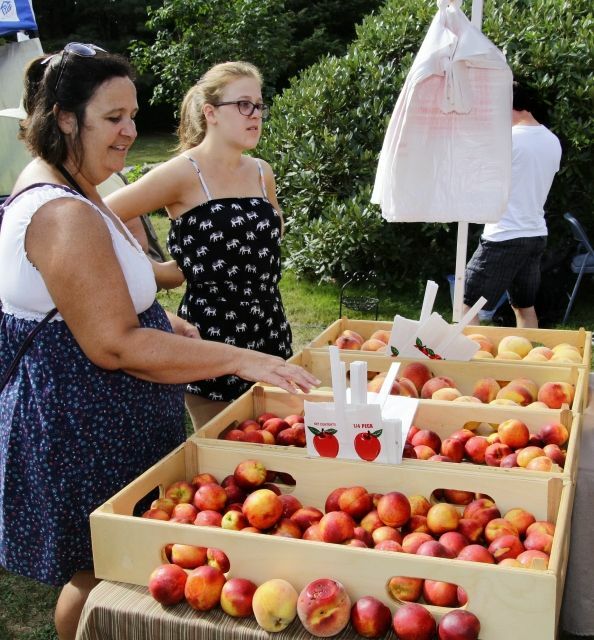 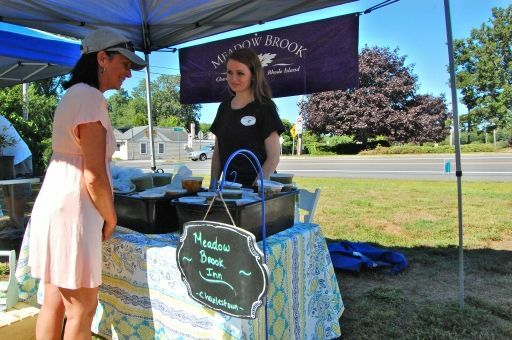 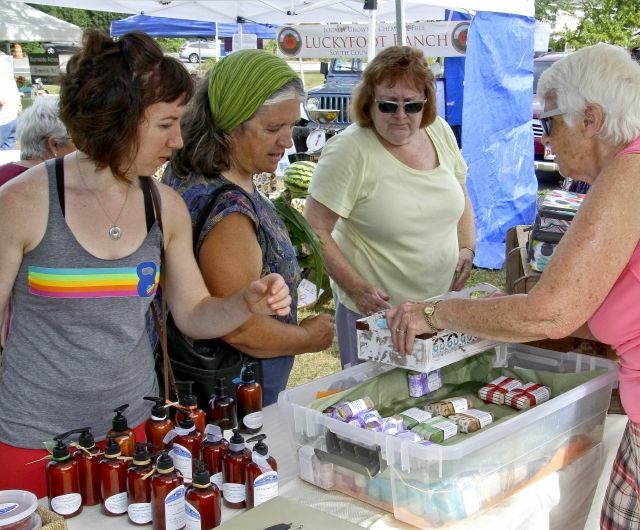 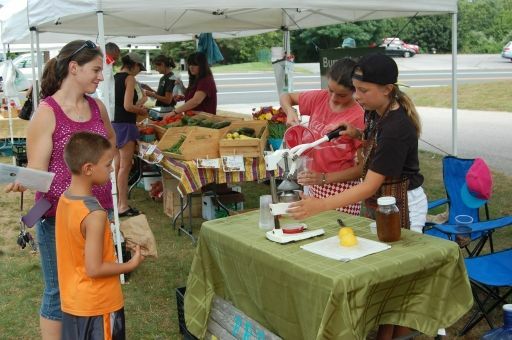 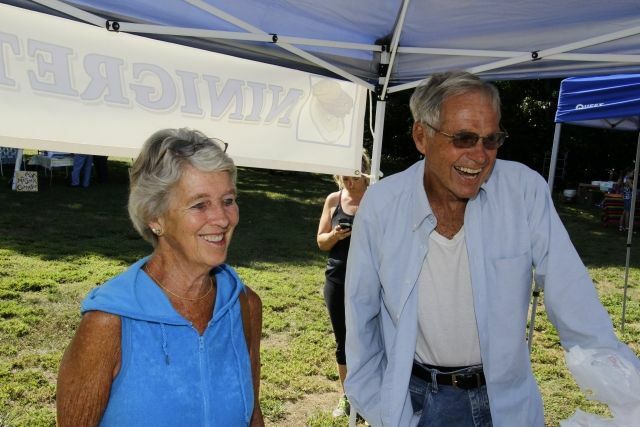 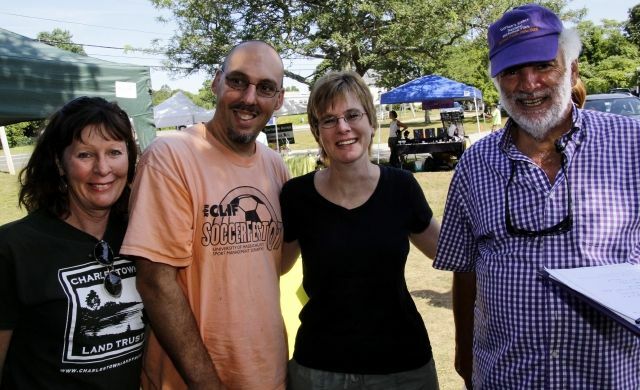 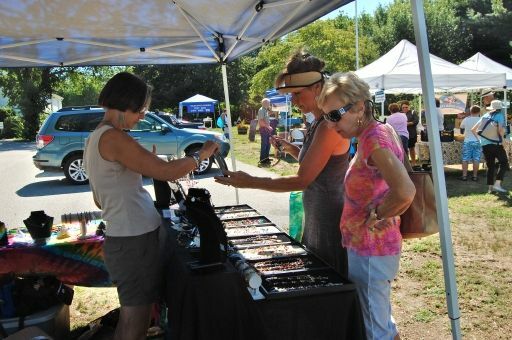 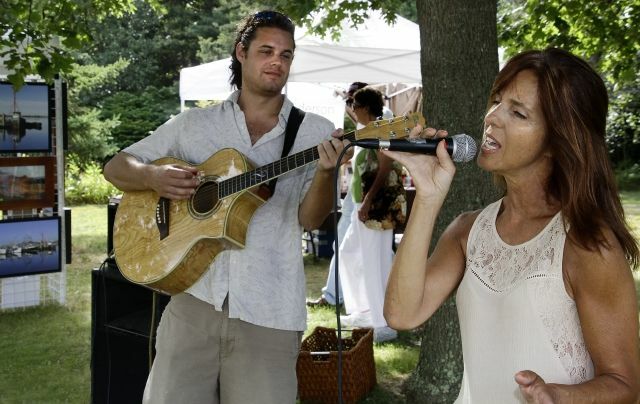 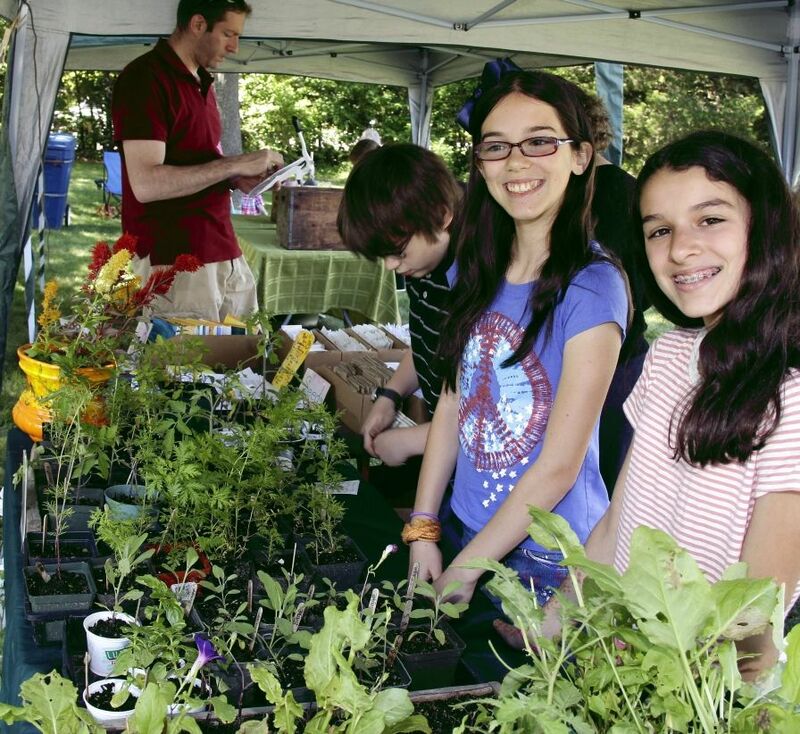 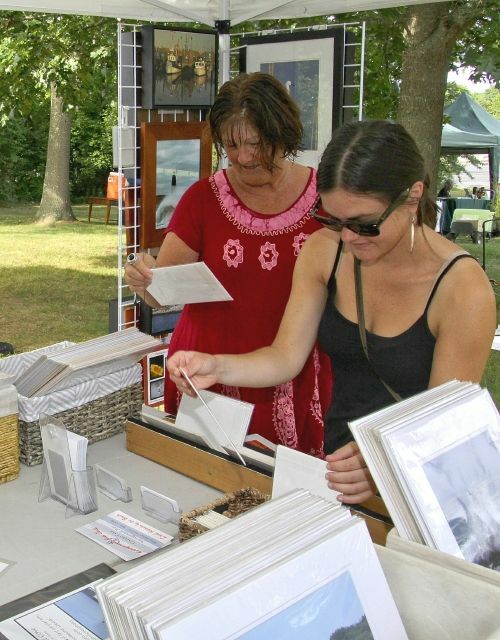 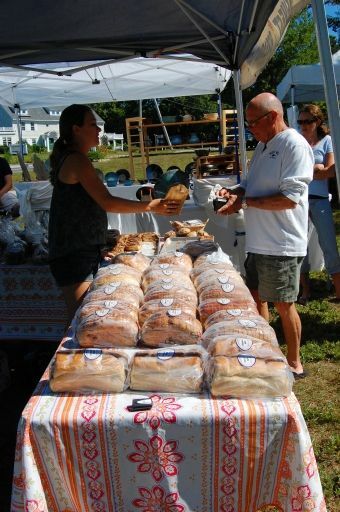 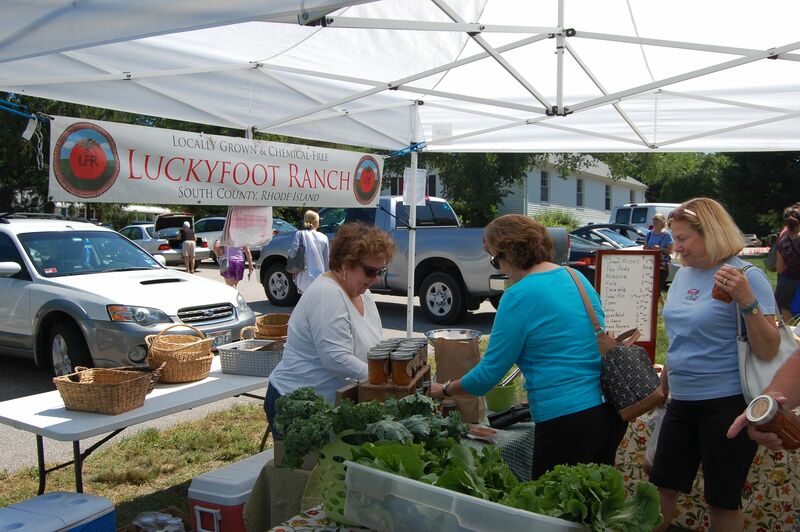 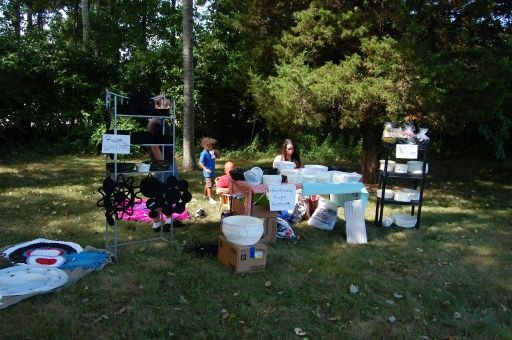 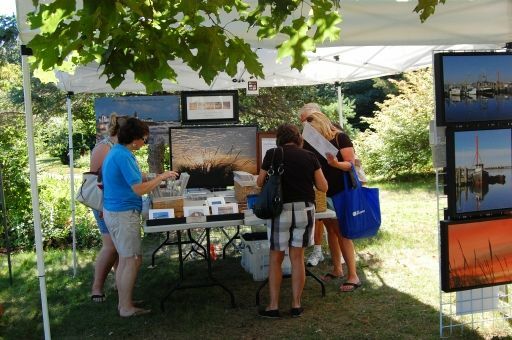 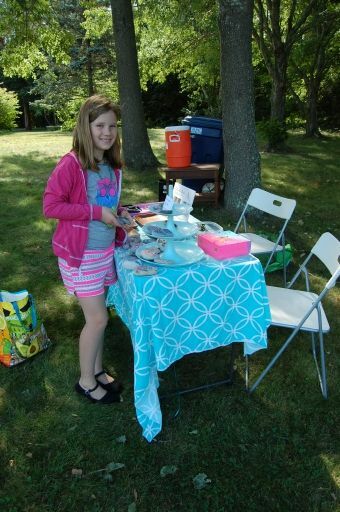 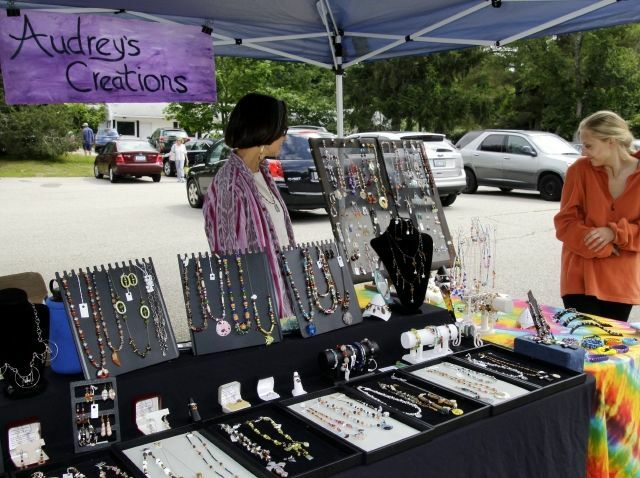 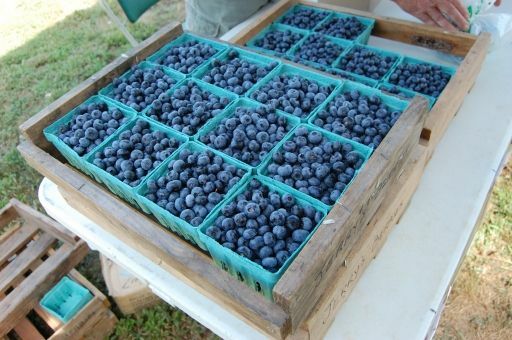 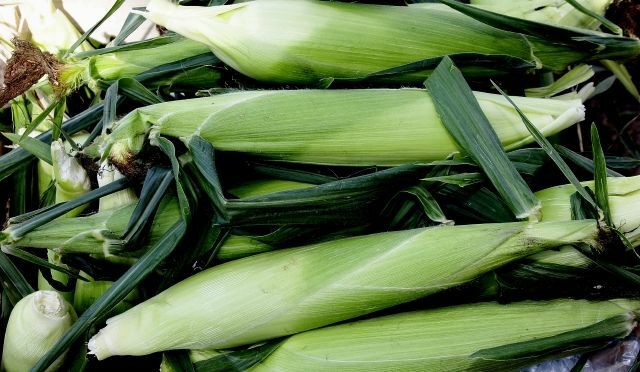 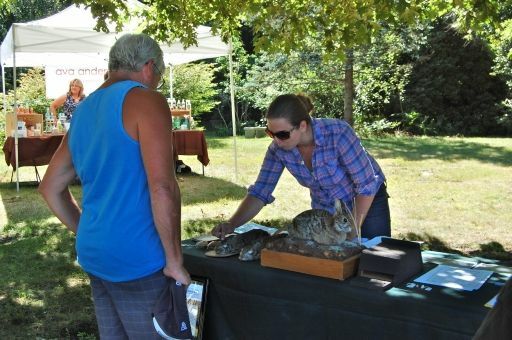 The Charlestown Land Trust Farmers’ Market will keep you coming back, Friday after Friday, all summer long.